Maximising design confidence early in the development programme. The main benefit of numerical modelling is to provide early access to objective information to guide critical design decisions and hence avoid costly rework in the later stages of development. In addition, simulation may be the only practicable way of investigating some issues that cannot currently be measured (e.g. induced effects on the human body such as SAR, induced internal fields and current density etc.). 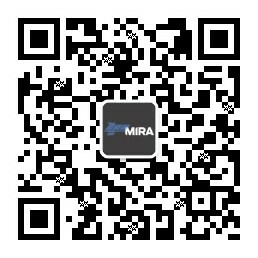 HORIBA MIRA’s CEM specialists also contribute to the development of IEEE Standard 1597.1 (“IEEE Standard for Validation of Computational Electromagnetics Computer Modeling and Simulations”). 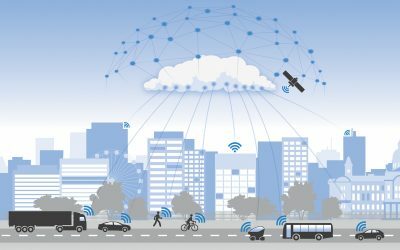 The availability of vehicle geometry and increasingly affordable computing power enable large scale electromagnetic simulation of complex structures such as vehicles. CEM can also be used for assessing the properties of complex sub-systems such as traction batteries for electric vehicles. Vehicle antenna behaviour is profoundly influenced by the geometry and electrical properties of the structure that they are mounted on. 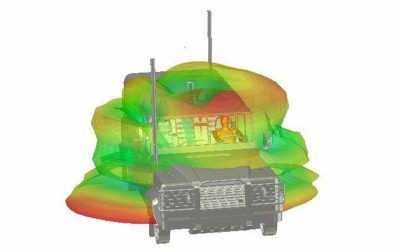 The availability of numerical models for vehicle structures also facilitates prediction of the impact of different mounting locations, body shapes and materials. In addition, potential interference between on-board antenna systems can also be assessed. In addition, induced in-body parameters such as specific absorption rate can be simulated for sources that are operated very close to the human body, or for electromagnetic environments that exceed recommended field levels.